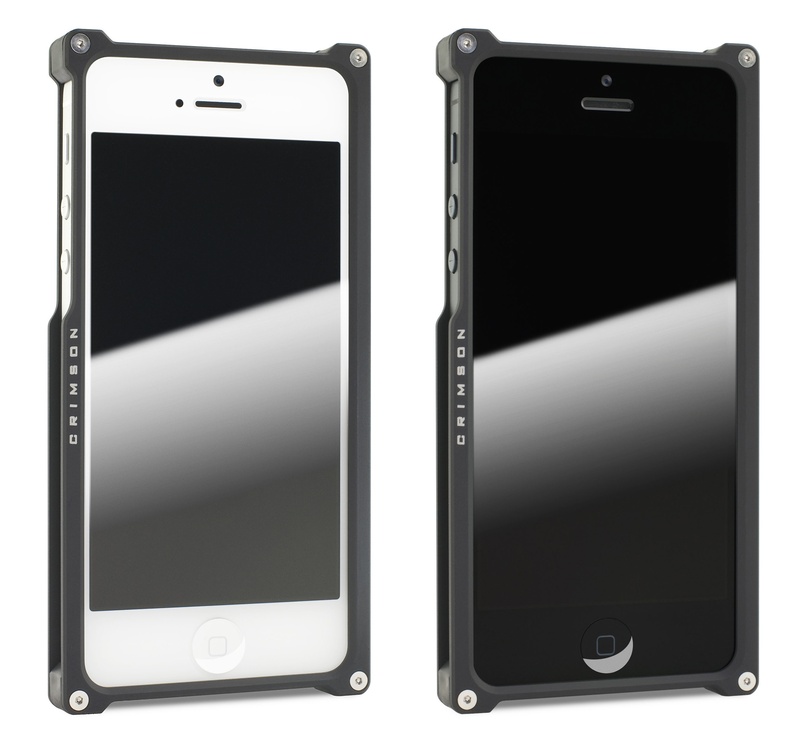 LOS ANGELES — Crimson USA (www.crimsoncase.com), creator of high-style, premium protection accessories for the Apple Inc. line of products, today unveiled the market’s most advanced Aluminum Frame Case (AFC) for the iPhone 5. The Crimson AFC enhances the style of the iPhone 5, while offering the best protection against the elements – whether from the environment, drops or everyday abuse. The new Crimson AFC builds upon the successful AFC product line for iPhone 4/4s, and was redesigned and improved to match the new specifications of the iPhone 5. CNC machined aircraft-grade aluminum for strength, durability and ultimate protection. Fastened elastomer corner guards engineered for shock absorption to protect the iPhone 5 from drops, dings and unexpected encounters. Form-fitting design to amplify the iPhone 5’s sleek lines and maintain accessibility to all buttons and ports – while never hampering the reception of the iPhone’s antennas. Lightweight (less than 20 grams) and ergonomic construction that offers easy handling, plus the ability for the iPhone 5 to stand on any of its sides – perfect for photography, video viewing and FaceTime. The Crimson AFC for iPhone 5 (Black, Red, Silver) is available now for purchase at the Crimson Online Store (www.crimsoncase.com) for $44.95 (U.S. MSRP). Crimson creates high-style, premium-protection accessories for Apple(R) products. The flagship Crimson Aluminum Frame Case (AFC) for the iPhone is at the intersection of art and technology, and represents a growing product portfolio – cases, screen and surface protectors, CrimSkins and sleeves – that meets the needs of iPhone, iPad, iPod and MacBook enthusiasts. Founded in 2010, Crimson is a fast-growing company and veteran global team with offices in Los Angeles, the United Kingdom and Taipei. For more information, please visit www.crimsoncase.com or connect with us on Facebook.com/ CrimsonCase or Twitter (@crimson_case).